In this review of Ahrefs keyword explorer, I will explain what it is in detail, including pros and cons. Creating effective, search engine optimized content is key to amassing traffic on your website. Generally speaking, the more content you publish, the greater traffic you will get, but then, your content must be intentional, well-researched and planned. Not all content succeeds, and the difference between great content and poor content is just how much time, attention and money you are willing to invest into it. Improving your content’s “hit rate” is the goal. Although you can never be completely certain if a post will be successful or not, with the right insight, you can create content with a better chance of gaining search traffic and shares. And this is exactly where Ahrefs Keyword Explorer comes in. You need marketing insight to be able to monitor competing websites, get fresh content ideas, build your links and boost your shares, as well as engage with people who will help promote your content. The good news is that Ahrefs’ keyword explorer can help you in all of these areas. Although the Keyword Explorer used to be one of the least popular tools in Ahrefs’ arsenal, its recent update has completely changed that. Ahrefs has successfully included so many cool and practical features that were not there before. Ahrefs has truly managed to create one of the most amazing and high-level keyword research tools that there are in the industry. Ahrefs Keyword Explorer is one of the closest you will get to an ideal tool when it comes to content marketing and SEO. It provides a lot of insight concerning your competition which will, in turn, help you in making much smarter marketing decisions. Here is a breakdown of the functions, features, benefits and lacks of Ahrefs Keyword Explorer, so as to inform your decision. Ahrefs Keyword Explorer offers two major subscription plans – Standard and Pro. The Standard plan costs $99 monthly and allows you to break down content into different types such as infographics, videos, guest posts and so on. You also get great influencer data and you can link it to your Twitter account and follow and tweet straight from your Ahrefs application. On the Pro plan, which costs $179 per month, you get backlink data in addition to your social data. You also have access to better graphs of performance over time, as well as all other Ahrefs features. Crawl Report: After you have added your website to Ahrefs Keyword Explorer, you will be shown a Crawl Report telling you just how well your website is performing from the perspective of a search engine robot. For instance, clicking on Performance in the left pane will let you sort pages based on how long it takes to crawl them. High crawl time tells you that there is a problem with the page. This is not good for both your SEO, and visitors to your site, as Google and many other search engines are big on site speed. The Crawl Report can also show you what pages have 4xx errors (like 404 errors, for example), so that you can get all the broken parts of your website repaired much easier. Error codes and missing pages are not good for your website visitors, and if people cannot get the information they need from your site, Google (or other search engines) will not be excited either. Too many 4o4 error pages can affect your SEO negatively, thus it is a great idea to deal with them as soon as possible. They can impact the quality metrics of your website, and thus affect your site rankings. The best part about the Crawl report, however is its ability to analyse all of your content in a single glance. You can find identical titles, missing metadata, multiple H1 tags on a single page, and so many other little things that do make a large difference in your SEO, and are so easy to fix. Rank Tracker: Here is a feature to help you keep track of a list of keywords you are targeting. With the Lite plan you can track the progress of your site for a maximum of 250 keywords, and with the Standard plan, you can do up to 750. In addition, you get to see how your rankings progress for a specific keyword over time. You can set Ahrefs to send you daily or weekly reports about your rankings. This could save you hours of manual reporting every month. If you are an SEO service provider or if you have many websites, this can be a very useful feature. You also get to track your rankings in several locations (countries) for both desktop computers and mobile devices. Although Ahrefs’ Rank Tracker is not a perfect tool, it is good relative to others, and the new mobile-desktop split update is great. Site Explorer: This is where you will be spending most of your time while using Ahrefs Keyword Explorer. It is a super comprehensive feature that provides in-depth insights into the top content, backlinks and other metrics of any site. It has a dashboard that displays data concerning a website at a glance. The domain rank, number of backlinks and referring domains are all on display. This helps in the instant analysis of competing sites. You can analyse improvements in the organic traffic and backlinks of a competing sites over time, and so on. The Site Explorer also features a Top Pages function that lets you view the best pages on any particular domain according to social metrics and backlinks. The Top Grossing Pages function crawls sites and checks what pages are earning the most links at the moment. The Links option is one that really popularized Keyword Explorer. The Disavow Tool helps you clean out bad links that point to your site. Content Explorer: This displays the most shared content on any topic. It is a wonderful way to come up with content ideas. You can use the Content Explorer to find new content ideas, sharers and influencers, as well as content for sharing. This tool has both Search and Advanced Search features, as well as features for filtering, finding sharers and breaking down content analysis, all to help ease your exploration of relevant content. Positions Explorer: This feature provides insight as to the rankings and organic keywords of a domain. Typing any domain into the search box displays an in-depth analysis of the pages, major competing sites, content and overtime ranking or keyword improvements for that domain. It is a great tool to help in the brainstorming of keyword ideas and position openings. 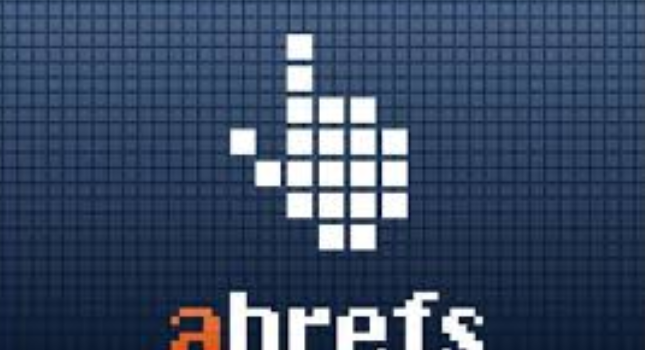 SEO Toolbar: Ahrefs also has its own SEO toolbar for both Firefox and Chrome browsers. It is similar to other SEO toolbars out there, but the difference is that all its data comes from Ahrefs. Extensiveness: Ahrefs Keyword Explorer probably has one of the most extensive web crawlers in the SEO tool market. Alerts: You get current and far-reaching keyword alerts everyday via email. Social Sharing: Ahrefs Keyword Explorer connects with Twitter, Facebook, Pinterest, Google+ and LinkedIn for all-encompassing social sharing. Filtering: Ahrefs gives you advanced filtering options all over the tool. Clickstream: The Keyword section incorporates clickstream data for better accuracy. Up-to-date Information: The information provided by Ahrefs is updated frequently and can always be retrieved whenever necessary. Parent Topic: You can conduct topic research with parent topics in addition to single keyword research. There are some downsides to Ahrefs Keyword Explorer. One of the main ones is that the $99 per month Standard plan has some limitations and restrictions to it that makes it seem not worth the while, relative to competing tools at that price. Another challenge is that there is no Google analytics or Search Console integration. The fact that the keyword suggestions do not come with a relevancy score is also quite disturbing. Also, the website traffic stats that Ahrefs provides may not be as robust as those provided by competing products. Ahrefs Keyword Explorer is a great multi-functional keyword research tool that can help eliminate your need for multiple tools to perform different SEO functions. The beauty of it all is that the Ahrefs team is completely dedicated to the constant improvement of this product. 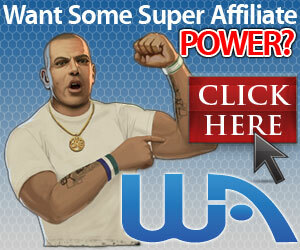 They have rebuilt it from what it used to be and created one formidable tool that can be useful to any website owner. Ahrefs is highly effective, easy to use (once you adapt to the user interface), and it also has a wonderful support team to help deal with any issues. Although the price may seem high, it is actually quite fair for the functionality, and you get a 7-day free trial to test the waters.